The 2017 Confederations Cup begins in Russia this Saturday and will see a host of nations battle it out in the tenth installment of the quadrennial trophy. The winners of the six continental championships are invited as are the World Cup champions and the host nation; splitting the eight teams into two groups of four. Manchester City’s representation in recent tournaments has been limited but this summer could be very different. So who’s included and who isn’t? Could a future City star be on show? Let’s find out. Bernardo was extremely unfortunate not to be part of Portugal’s winning Euro 2016 team having pulled out of the squad beforehand with an ankle injury. The then Monaco playmaker was almost certainly a starter for Portugal and he will know international trophies are hard to come by, for any player. That’s why he’ll be desperate to help Ronaldo and co. wrap up their second international title in as many years as Portugal remain firm favourites to win the competition. Expect these lot to go all the way this summer. Aaron Moody’s break-out season in England was hugely impressive; taking Huddersfield to the Premier League and winning Player of the Season too. He may not find himself at Manchester City come September so starring for Australia may provide some viewing for many City fans who couldn’t catch the Championship last season. His side Australia will be hoping to cause an upset having won the Asia Cup in 2015, their first continental success since moving from the Oceania to the AFC confederation back in January 2006. Manchester City’s much maligned goalkeeper looks set to stay for at least another year in Manchester and what better way to overcome a horrid debut season in the Premier League than to perform for a Chile side where he earned worldwide plaudits for his performances. 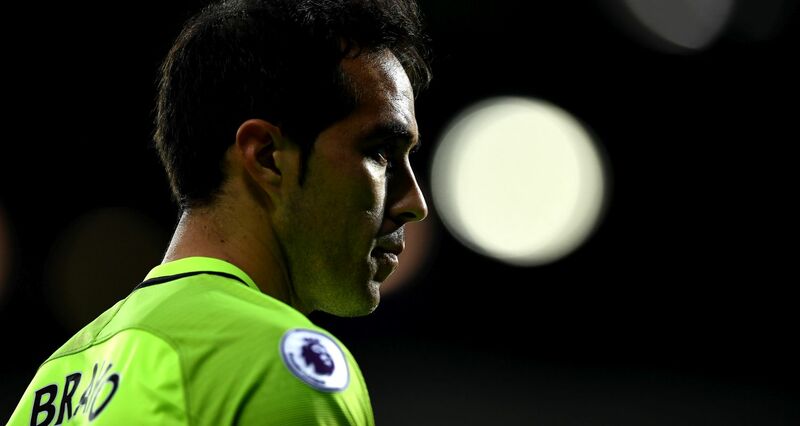 Bravo has always looked at home in the red shirt of Chile and his back-to-back Copa America titles was part of the reason why Guardiola justified paying £14m for his services last summer. Of course, things did not turn out like they were supposed to and now Bravo finds himself at a cross-roads in the twilight of his career. But can he bounce back and prove himself on the world stage again or will his decline continue to slope him into nothingness? Ilkay Gundogan won’t be attending as he continues to recover from his season-ending injury last year. He hopes to fit for pre-season. Leroy Sané, named in the preliminary squad, also won’t be going as he undergoes nasal surgery and a well-deserved rest.